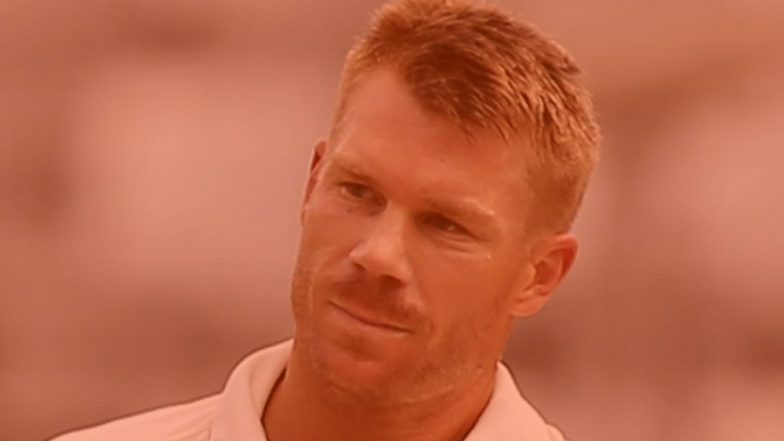 David Warner made a strong comeback in the Indian Premier League (IPL) 2019 by scoring 85 runs against the Kolkata Knight Riders in the match on Sunday. Playing at the Eden Gardens, Warner went ahead of Rohit Sharma to become the highest run-getter against the KKR. David Warner now has 762 runs against the Kolkata Knight Riders, including two centuries. Rohit Sharma is at the second place with 758 runs against the KKR. Sunrisers Hyderabad vs Kolkata Knight Riders Live Cricket Score 2nd T20 Match. Earlier, Warner started on a strong note and brought up his 40th half-century, the most by any player in the history of the IPL. Thanks to Warner's innings and Vijay Shanker's impressive batting towards the end, Sunrisers Hyderabad managed 181 on the board. KKR vs SRH, Live Cricket Score of IPL 2019 Match: Shakib Al Hasan Removes Chris Lynn. The Kolkata Knight Riders won the toss and decided to bowl first. But David Warner and Johnny Bairstow got off to a good start, putting up a partnership of 118. Warner was dismissed by Andre Russell. He scored 85 off 53 balls with the help of nine fours and three sixes. David Warner Makes Impressive Comeback, Scores First 50 of IPL 2019 During KKR vs SRH Match at Eden Gardens. Sunrisers Hyderabad (Playing XI): David Warner, Jonny Bairstow(w), Manish Pandey, Deepak Hooda, Shakib Al Hasan, Vijay Shankar, Yusuf Pathan, Rashid Khan, Bhuvneshwar Kumar(c), Sandeep Sharma, Siddarth Kaul. Kolkata Knight Riders (Playing XI): Chris Lynn, Sunil Narine, Robin Uthappa, Shubman Gill, Nitish Rana, Dinesh Karthik(w/c), Andre Russell, Piyush Chawla, Kuldeep Yadav, Lockie Ferguson, Prasidh Krishna.